Wasps are some of the most aggressive members of the insect kingdom and they often cause trouble in our spaces, leaving us no choice but to deal with them in an unforgiving manner. Here, we jot down for you some of the safe and natural ways to rid your personal or work space of this menace. A simple mixture of water and soap seems to wonders with most members of the insect community and so it is with wasps. If you find a wasp’s nest, the first thing you need to ensure is that you do not disturb it in any way, as this could lead these pests to attack you. Instead, prepare a mixture of soap and water, and then, with a sprayer, spray the nest well with the mix. 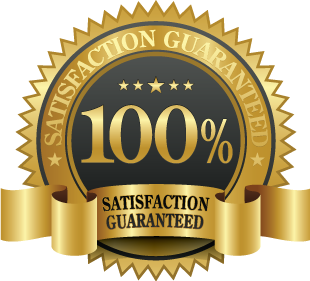 Chances are the wasps will leave the nest and never trouble you again. Laying traps is one way to reduce the wasp population in an area. Laying baits and then trapping wasps in glass traps is a popular and safe method of dealing with the wasp menace. Remember to keep changing the bait though, as wasps are pretty choosy creatures and will only come if the bait is relatively fresh! How about hanging a fake wasp’s nest! Wasps are fiercely territorial and a new colony would seldom build a nest in an area that already has one. So buying false nests from the market and hanging them in your surrounding is a fairly successful method to prevent wasps from building new nests in the vicinity. 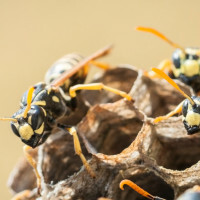 While calling in the exterminator and allowing the team to handle the menace is often the best solution, especially if the wasp’s nest is relatively large, these methods could help you get rid of wasps too. Will A Dead Wasp Repel Other Wasps? What Are The Dangers of Destroying Wasp Nests? What Are Some Examples of Birds That Eat Wasps?